5 Pair of Earrings you must definitely own! Earrings are not just an ornament. They can be an extension of your personality. Each style can make you look distinct. Every girl knows how to dress up for pooja, party or office. Not just restricted with your attire but your accessories also should go with the event. 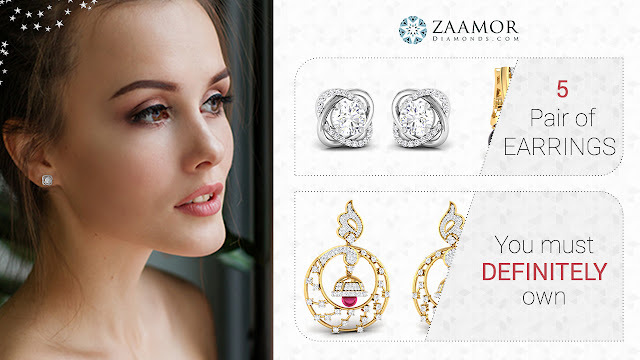 Check your jewellery box and see whether you have these 5 different types of earrings for women, right now. Studs are great to add sophistication to the everyday look. The diamond stud is perhaps the most classic or elegant, and most versatile, but it can be a stud earring with some color. The great thing about studs is that it is a go-to earring for every day. Not just Red, green will also create a daring look. Give pop color with these colourful earrings. You can match this bold earring with any bold attire or let the dramatic pair stand out while the rest of your ensemble speaks of calmness and subtlety. This is one must-have piece for all fashion conscious women. Jhumkas come in all shapes and sizes. Whether you like them big, chunky or small and elegant – you can flaunt them at just about any kind of event. Jhumkas look stunning with traditional Indian wear such as sarees and suits. Pearl drops signify purity and innocence and look very feminine. You must keep at least one pair of these in your jewellery box along with diamonds as they will last you a lifetime. Pair this pearl earring with your party attire and look dashing. Looking to experiment, but not too much? 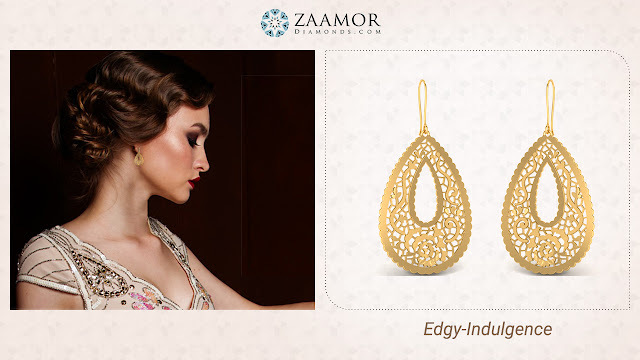 Try this edgy pair of Golden Dangler Earrings. 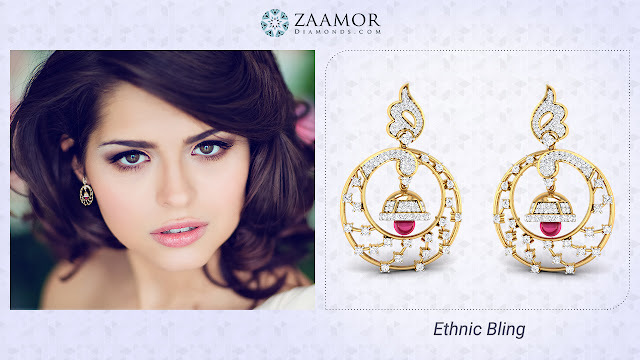 Pair this earring with your casual attire to create the chic look. Trust them to modernize your casual party attire and take your style game a level up. Whether you are looking to narrow your earring stock down to the basics or trying to build your collection, these are the 5 types of earrings you should definitely keep in your jewelry box! Disclaimer: All images of celebrities/models & other photographs used in the article are purely for reference and they do not support/endorse the brand. 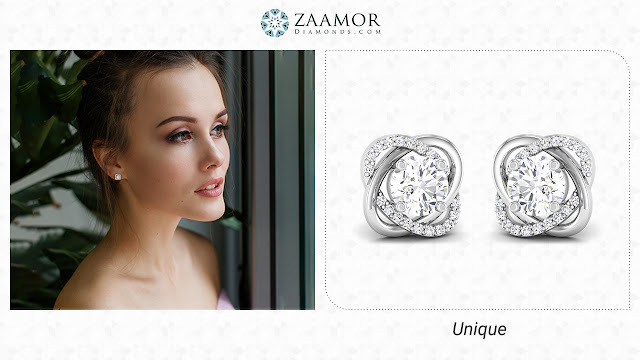 The shown images are taken from www.zaamordiamonds.com and also different public domains. 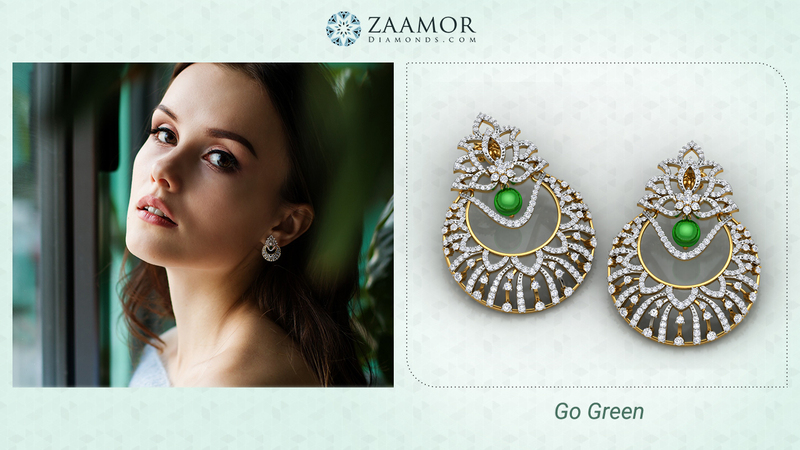 Zaamor Diamonds Blog: 5 Pair of Earrings you must definitely own!